Just did Pilates. I'm in pain. @TRaNzGood Boy I don't know yet if I go to Amsterdam, Berlin or totally crazy....Barcelona. @sushiliciousPIlates? Well, then watch some oppas. Should get rid off the pain. Also me: Okay the Dark Goddess finds it annoying. Let’s just watch something else. This sad video.... Well at least it got help. So they are more important than your precious foods . I saw blackpink every ten or twenty minutes on tv ads. Hahaha. They're the brand ambassador for Shopee online here and come here for few times I think. Such a touching video @sushilicious Gom, how could he end up down there. I'm glad that people tried to rescue him and even find him his family. He's such a cute one. Some are good ones while others are sad ones. That @USAFarmgirl will shed loads of tears. 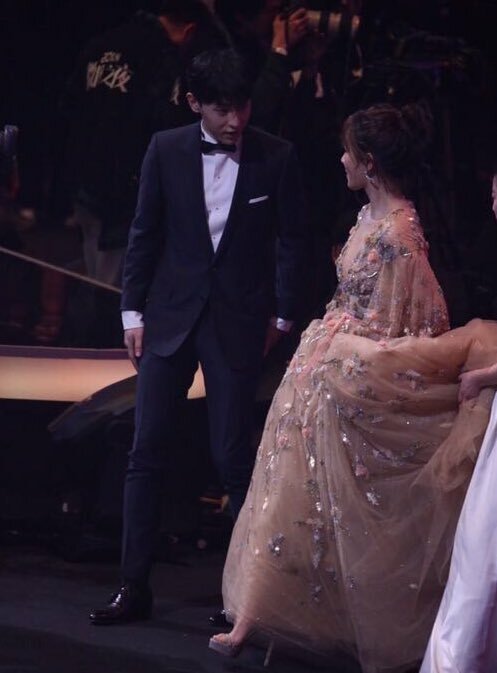 I WANT TO SCREAM RIGHT NOWWW..... Deng Lun and Yang Zi appear together in an award show and Ashes won!!!!! @lynne22 waaaaahhh! Deng Lun and Yang Zi so cute together! I ship them!!! After all these month... they appear together... I am shock!!!!! OMG OMG OMG @lynne22 THEY LOOK ABSOLUTELY AMAZING TOGETHER. GAHHHHH. Lol. Sorry for the caps. Actually last night I was rewatching the mortal realm arc and was bawling like a kid. Even during the first watch I didn't cry like this....LOL. Imo, ASHES OF LOVE DESERVES ALL THE AWARDS AND FAME.